Shurden examines the meaning of being Baptist by chiseling a Baptist profile and identifying freedoms commonly found in Baptist sermons, addresses, and confessions of faith. A leader’s guide by Terry Hamrick is also available! Walter B. Shurden is Minister at Large with Mercer University. 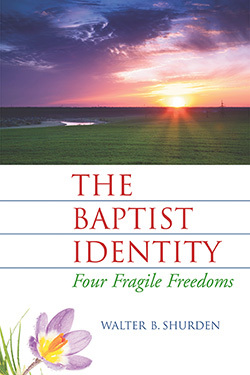 He is author of numerous books including The Baptist Identity: Four Fragile Freedoms, Not a Silent People: Controversies that Have Shaped Southern Baptists and the five-volume Proclaiming the Baptist Vision set.